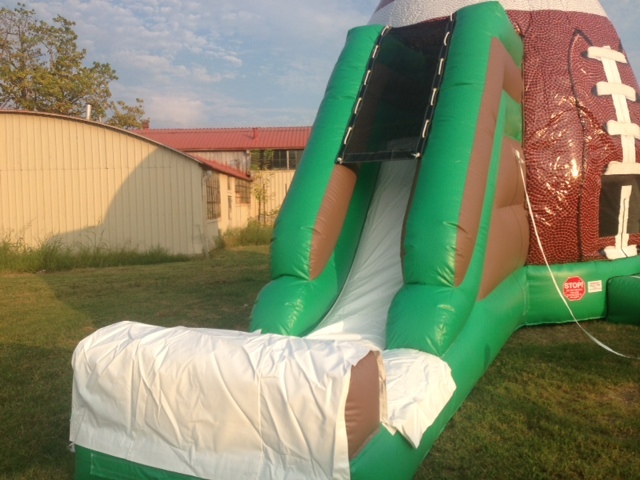 Bounce into Football Season with this large Football bouner w/ slide! 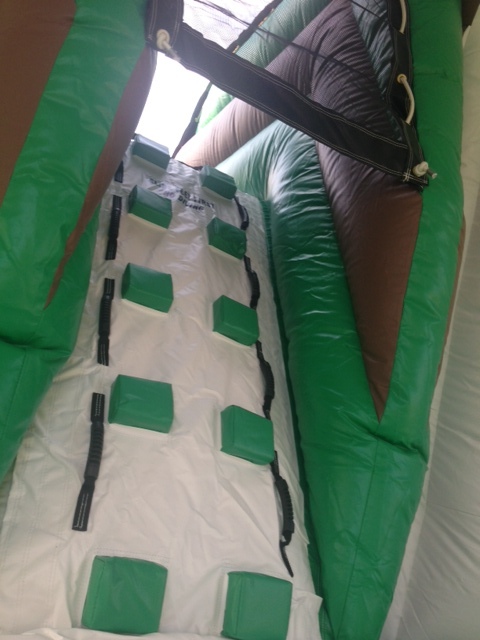 Kids can bounce in this unique bouncer and then climb the stairs and escape the playingfield by sliding down the slide. But watch out, it is so much fun you may be drawn back into the football bouncing game! 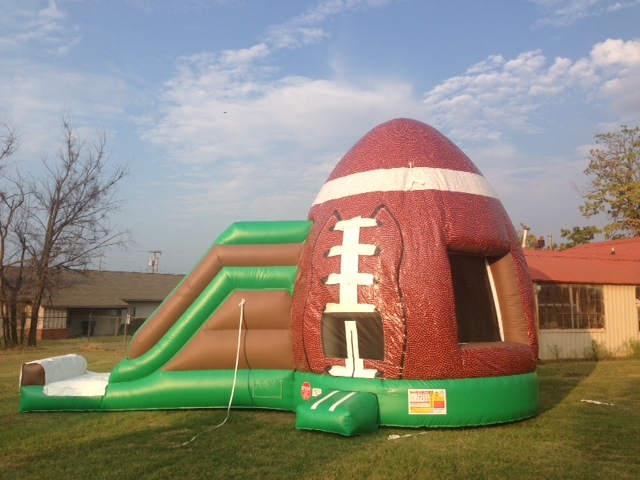 Football combo is over 19ft tall and covered so it stays cool in the heat!